What’s new on the homestead? “Owl” is! Sometimes the gifts life bestows upon you are the ones you never planned on or looked for. Sometimes these gifts are the most precious and meaningful. Owl is one of those gifts. We have had an unusual winter, to say the least. Frigid below zero temps one week, spring like days in the 50s and 60s the next. 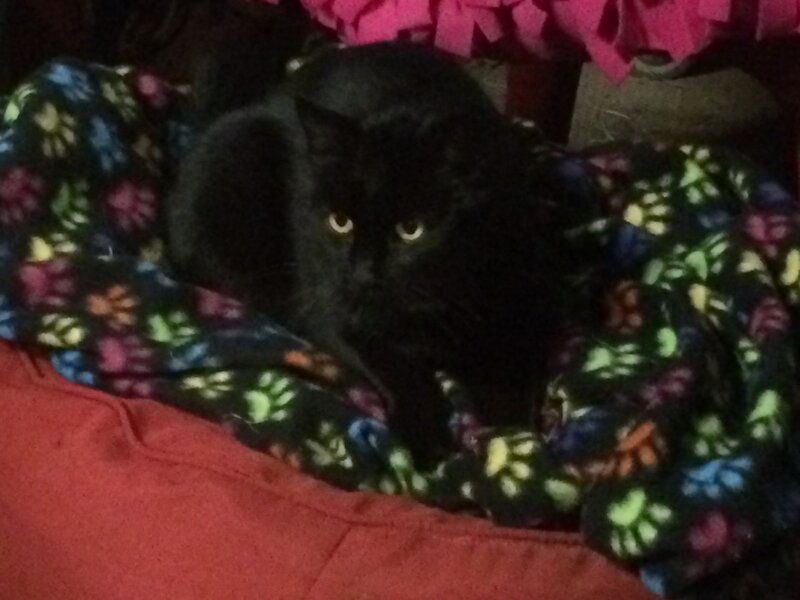 One morning, I went to let our cat, Ishi, outside and there was a small black cat with stunning golden eyes laying on our patio chair. She ran when I opened the door. It isn’t unusual for us to have feral or stray cats around us in the country. I didn’t give it much thought. She was there again the next morning, as well. This time she didn’t run when I opened the door. 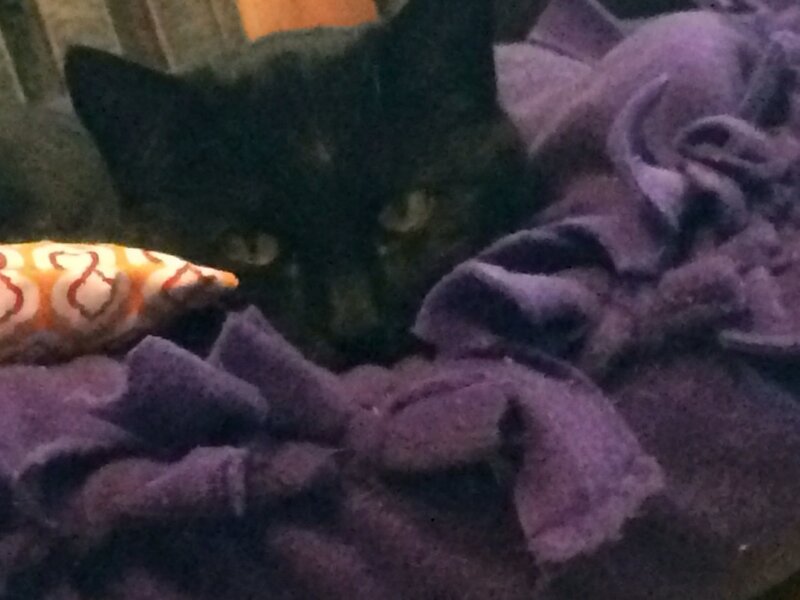 She kept her distance and began meowing…so I meowed back. She came over to me and let me pet her. She was friendly and loved the attention. ​Frigid temps were in the forecast. I took our cat carrier outside and put blankets on it and a bed inside. I placed it out of the wind so she would have a place to stay. I gave her some food and water. Why didn’t I bring her indoors? We have two cats in our home. I am careful not to introduce a stray cat to any of our cats at home or at the barn for fear of exposing them to feline leukemia or feline AIDS. While my cats are all vaccinated, I do not want to put their health at risk. Owl stayed. She acted like she had been here forever. 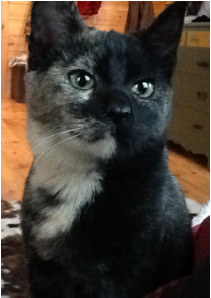 So, I decided she could be our second barn cat. I called our local shelter, Beverly Animal Shelter, who had a low spay/neuter program, and scheduled her to be spayed and vaccinated. Without the Beverly Animal Shelter, I would not have been able to afford to take this little one in and have her become a part of our family. Please consider supporting your local shelters. They are part of your community and give back to the animals and people in your own backyard. Often overlooked because they don’t have the funding to advertise and market like national programs, they are on the front lines of saving and helping animals, nonetheless. Next time you are at the store…pick up a small bag of dog or cat food that is on sale and drop it off at your local shelter. A bag of kitty litter, bleach, towels, etc – most shelters have a “Wish List” with low cost items they are in need of to continue to operate. Get schools or your kids involved by helping to donate supplies or volunteering some time. Owl snuggled in her bed in the heated tackroom. It took her no time to settle in and make herself at home. Owl is a blessing to us. She is my number 1 helper with chores every day. When she can’t find me, she meows and I call her while she checks each stall until she tracks me down. She is just as happy in the rafters as she is on the ground. My friend told me I named her appropriately. It is as if she belonged here all along. 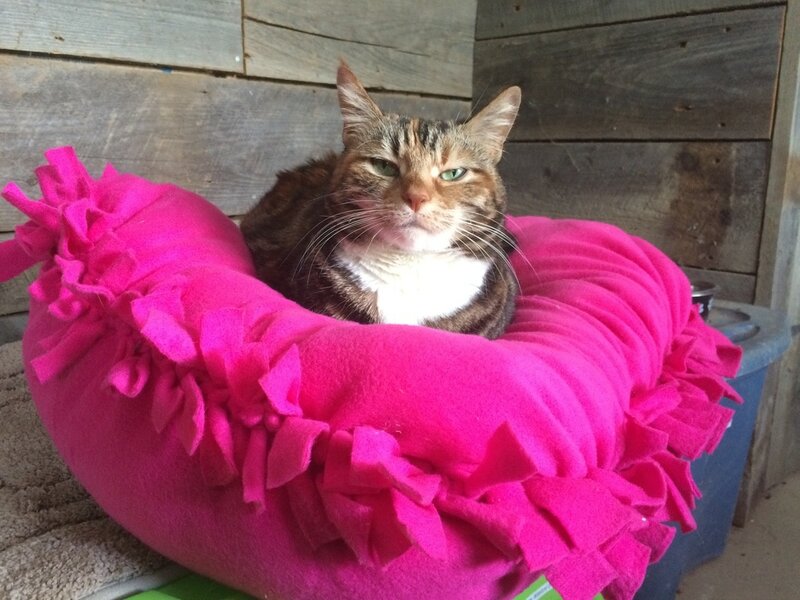 While Monkey, our other barn cat rescue, isn’t completely thrilled with sharing her heated tack room, she tolerates Owl as an older sibling tolerates their younger one. Monkey disapproving of having to share her heated tack room with Owl. ​Owl is truly a gift. She is a gentle soul with a loving heart. She makes my heart smile…and that is a gift that NO money can buy. ​Dr. Colleen Canale is a Chiropractor and Clinical Nutritionist. She attended New York Chiropractic College where she earned both Doctor of Chiropractic and Master of Science in Applied Clinical Nutrition degrees. She is also a certified Applied Kinesiology practitioner, which is a technique that uses muscle testing to assess, diagnose and treat each patient in a precise, individualized way. Canale Chiropractic is located in Baldwinsville, NY. Dr. Canale lives in Martville, NY with her boyfriend and their rescue dog, Frankie. At Canale Chiropractic, we believe that health occurs along a continuum; and imbalances can be identified and affected prior to the presentation of outright disease or dysfunction through the use of Applied Kinesiology, chiropractic adjustments, diet and whole foods nutritional supplementation. What this means for you is having the opportunity to live your life without simply the lack of disease, but more importantly, enjoying life having achieved your body's utmost potential. Tree pollen counts are already up across the US, and it’s only March!! 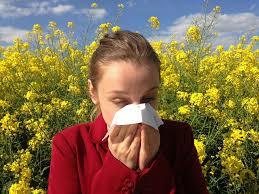 Experts are saying that seasonal allergies are beginning early this year due to consistently mild winter weather. Where snow and ice should be, areas are seeing rain and blooming trees, which has people wondering if they have a cold or IS IT ALLERGY SEASON ALREADY?!? What are the options for those who suffer from seasonal allergies? Trying to simply deal with the symptoms can make even the happiest of people miserable – sneezing, runny nose, head and sinus congestion, itchy eyes and nose…..no thank you! Allergy medication may be helpful, but comes with a bunch of side effects that are not very helpful – dry mouth, drowsiness, dizziness, nausea, restlessness, moodiness, blurred vision, confusion. To figure out a better course of action without side effects, let’s first look at what happens in the body during an allergy attack. An allergen (pollen, for example) causes the body to produce excessive amounts of histamine. Histamine triggers a response to rid the body of this allergen and produces the symptoms of allergies in its efforts to do so – runny nose, sneezing, watery eyes, etc. This is an extremely beneficial and necessary process for the body, but becomes problematic when triggered easily and continuously. Instead of blocking the function of histamine altogether with antihistamine medication, the holistic approach to managing seasonal allergies would be directed at supporting the body’s natural detoxification pathways to clear histamine out naturally, decreasing inflammation by removing foods and supporting the immune system with whole foods supplementation. This is important because histamine contributes to other bodily functions, so using antihistamine medication impairs these functions, as well. One very important function is the stimulation of stomach acid secretion. We need enough stomach acid to digest meat properly. When antihistamine medications are used, this process will not happen optimally and meat will sit in the stomach and ferment in order to break down enough before entering the small intestine. This fermentation process produces gas, which can blow back up into the esophagus and cause acid reflux. Then this person takes an acid reducer medication to counteract acid reflux, when the problem is actually not enough stomach acid caused by overuse of antihistamine medications, and makes their stomach acid problem even worse. There are many complications associated with chronic acid reducer medication use, including serious kidney disease. ​In my office, I would first identify foods that may be contributing to a person’s allergic response to environmental allergens. I do this by using muscle testing and homeopathic vials to test a patient’s nervous system response to a specific food. If a food is a stress to a patient, the muscle test will show as weak. Recently, a patient tested poorly for dairy so it was removed from her diet. After a few weeks of avoiding dairy, she ate some dairy products and reported having a sneezing attack within hours. This occurs because food intolerances also cause a histamine reaction and can present with similar symptoms as seasonal allergies. In fact, while some sniffling is normal after eating, excessive or prolonged “sniffles” after eating may be a sign of food intolerances; and, quite often, dairy is the culprit when it comes to seasonal allergies. The next step would be to determine if the intestinal lining has been compromised. If so, there are several natural remedies to encourage healing. Fermented foods, which contain probiotics, or probiotic supplements in pill form are a necessity. 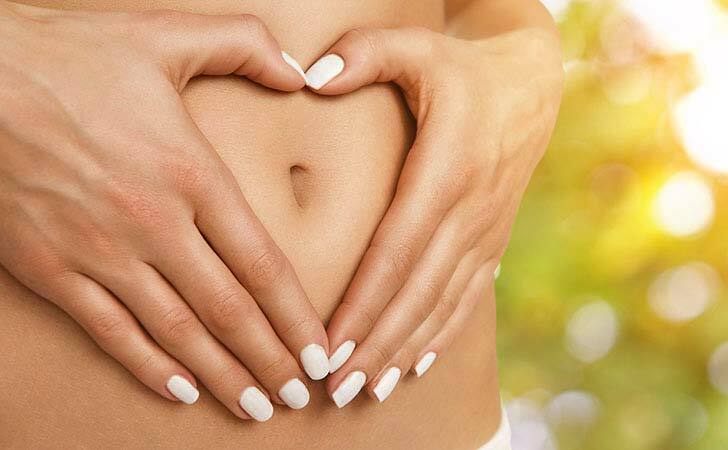 Okra, slippery elm, L-glutamine and aloe are but a few of the nutrients that I use to help heal the intestinal lining. In order to correct any imbalance in the body, seasonal allergies included, a healthy gastrointestinal tract is a must. ​After removing offending foods and optimizing the health of the GI tract, further steps depend on each individual patient’s health issues. Some may need liver support to ensure healthy detoxification and histamine clearance. Some patients may need to be treated for candida overgrowth, which can contribute significantly to seasonal allergy symptoms. By using muscle testing, I can be extremely precise and specific in identifying what these next steps should be with confidence. One of my primary goals in business is to educate my patients and those I speak with in my community about natural remedies and how they can be a part of any healthcare protocol, combined with or in place of traditional western medicine. There are other options, and treatment can be very productive with minimal/no side effects when applied specifically for your body through muscle testing. Dr. Megan Williams graduated from veterinary school at Cornell in 1996 and also received her MS in Toxicology there in 1995. 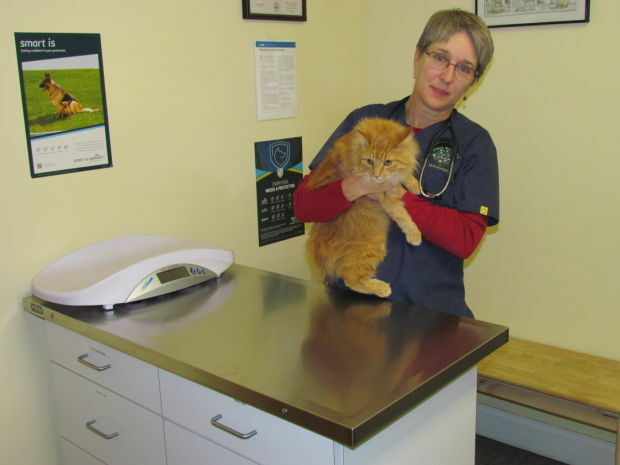 She has been working in small animal practice in the greater Syracuse area since then, and opened Animal Wellness of Skaneateles in 2007. 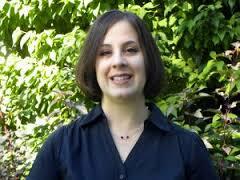 She has been involved with assisting local animal shelters and cat rescue organizations. She has special interests in ophthalmology, parasitology and pathology, and enjoys working with pocket pets in addition to cats and dogs. She shares her life with husband Bill, two wonderful sons, rescue mutts Napoleon and Howard, three kitties, and has learned to live with her allergies to all of them! 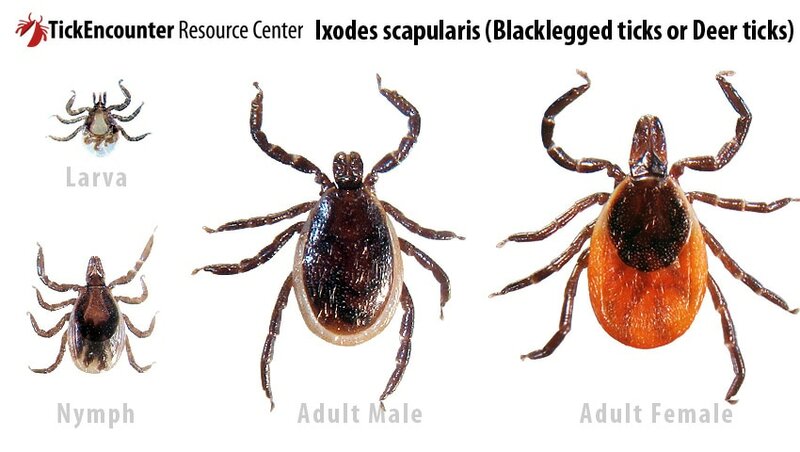 Lyme disease is caused by Borrelia burgdorferi, a spirochete (a type of spiral-shaped bacteria) that is transmitted to animals by the bite of the Deer or Black-legged tick, Ixodes scapularis. This tick has a complex life cycle involving three life stages and several hosts (animals that it feeds upon). Ticks thrive by a life style which involves attachment to animal hosts’ skin and feeding on the animal’s blood, during which time the animal may not be aware of the tick’s presence because of an anesthetic-like substance the tick produces. The larval, nymph and adult stages of the deer tick occur over the course of several years, during which the tick feeds on different animals as it gets larger. The Larval stage is very tiny and the tick usually will attach to and feed on mice at this stage. If the mouse is carrying the Lyme disease spirochete, the larval tick may become infected. The tick then will be dormant until the following spring and molt into the nymph stage, a little larger and capable of attachment to a dog or human walking by its hiding place. These hosts may become infected with Lyme disease if the tick is carrying it at this stage; if the tick overwinters again, the following year as an adult it may also attach and transmit the spirochete. After feeding, the adult female ticks will drop off and lay eggs. The tick must remain attached for at least 24-48 hours for Lyme disease transmission to occur. In addition, the deer tick does not go completely dormant during cold weather and will actually be out looking for a meal whenever the temperature is above freezing. The range of this tick appears to be moving northward, perhaps a function of increased human and animal movements as well as climate change. The host animal infected with Borrelia may not show any signs of infection. The dog or person may have mild flu-like symptoms that are not investigated until the development of other problems such as lameness or swollen joints; dogs do not usually demonstrate the typical “bull’s-eye” rash seen in humans. Many dogs are diagnosed with Lyme disease exposure, if not actual disease, when they have their annual heartworm test- many clinics are now using tests which accurately detect more than one disease (3DX or 4DX tests). It is thought that most dogs infected with Lyme disease are unlikely to have serious repercussions from their exposure, although serious kidney disease is possible, but many will test positive for antibodies against the bacteria for several years. Treatment with antibiotics after the bacteria has gotten a foothold is unlikely to completely eradicate the bacteria, but is generally very effective at decreasing clinical signs of lameness and malaise. There are NO vaccines against Lyme disease approved for humans, but there are for dogs. Vaccination is recommended for dogs considered to be at especially high risk for infection based on where they live, travel and lifestyle (field versus couch dog!) Use of a good flea and tick preventive is considered to be the first line of defense against this disease. For a list of essential oils for flea and tick repellent, see our June 2016 Issue of Wild Heart Mustangs™. 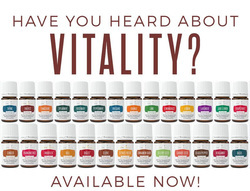 Supports overall well being in your environment and for your self. How to UseTopical: Apply 1-2 drops to desired area, dilution not required except for the most sensitive skin. White Angelica™ contains pure Melissa and Bergamot essential oils, promotes feelings of protection and security when diffused, and can be used to guard against negative energy. Also contains Ylang Ylang, Rose, Sandalwod, and Almond Oil. White Angelica, known as the "protector oil" is used to protect animals (and people) from others negative energies and thoughts, ad promotes a feeling of security. According to Melissa Shelton, DVM - author of The Animal Desk Reference, Essential Oils for Animals, we don't recognize how much our animal companions are affected by our emotions and beliefs. When a human continually obsesses about a dog's thunderstorm anxiety, a bird mutilating its chest, worries that a horse is not going to load in the trailer, or feels sorry for an animal with a not so pleasant past, we unknowingly project thoughts, actually encourages more of the unwanted behavior, and a pattern of not being able to release the issue at hand. 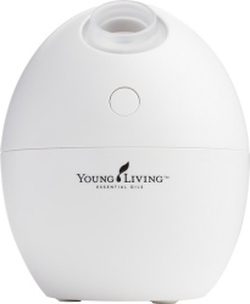 Diffusing White Angelica or applying over the shoulder are is suggested, sometimes on a daily basis. ​NOTE: THE USB CORD FOR THE USB DIFFUSERS WILL ALSO PLUG INTO AN APPLE iPhone plug so you can plug directly into a wall outlet for use anywhere in your home or barn. 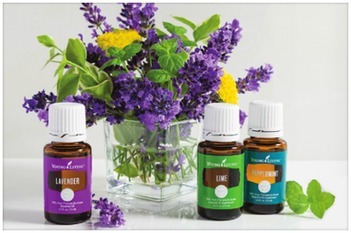 Available in the Wild Heart Mustangs™ SHOP under Young Living Essential Oils.